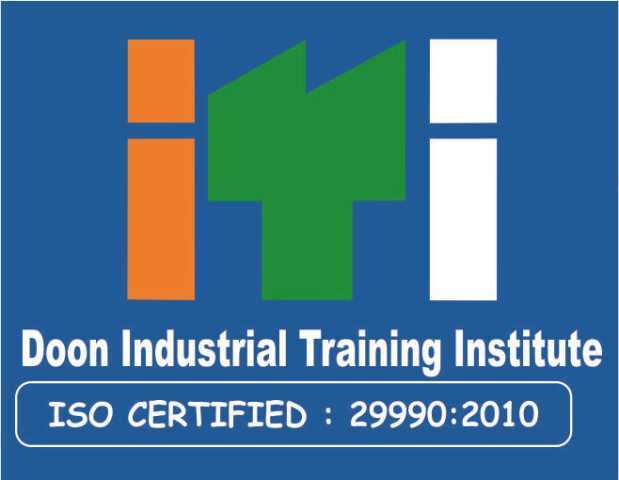 DOON (P) INDUSTRIAL TRAINING INSTITUTE (DOON .I.T.I) Complex Ind. Area Barotiwala, Scociety Complex Main Bazar Barotiwala The.Baddi Distt. Solan (H.P.) was established in the year 2010(Establised Under: Doon Vocational Education Society, Under Register H.P. Society Act.2006 ). This is an institute which is recognized by the Govt. of H.P. vide Registration No. 16-835/2009 and set up strictly according to the guidelines of SCVT Directorate of Technical Education Himachal Pradesh And NCVT, Directorate General of Employment & Training Ministry of Labour, Govt. of India, New Delhi as the Institute has been accorded affiliation by the said body vide letter No. DGET- 6/8/1/2014-TC. In order to keep pace with the modernization and to solve the problem of unemployment Doon Industrial Training Institute feels a strong need to run an institute in the semi-rural area of Himachal Pradesh. In order to imperil Technical Education to unemployed Rural youths in the field of, Electrician in order specialized fields, keeping this unemployment in view, Doon I.T.I. is meeting the needs of younger People. The approved syllabus of National Council for Vocational Training, Ministry of Labour (NCVT) Govt. of India, New Delhi will be followed in the above mentioned trades. The trades offered by this institute are of full time duration. During the course of training visits to various factories/Institutions using the computer and manufacturing the electricity equipments will be organized. Efforts will also be made to ensure that all students on successful complection of their training are absorbed in the industry and in the Govt./Semi Govt. Organizations. Doon Industrial Training Institute is location at Siutated at the Heart of Industrial Hub Baddi-Barotiwala, Distance 15 Km From Railway Station Kalka, Institute Located Barotiwala Bus-Stand. Opposit Electricity Board Barotiwala. i) This institute not only aims at producing skilled technicians or computer operators but also keeps abreast of the modern techniques to ensure that the trained youth are readily capable of handling responsible position in the Industrial Sector in Govt. and semi Govt./organization as skilled technicians and trained professional. ii) The management has an ambitions plan to establish this institute not only as a centre for entrepreneurs and job oriented courses but also to solve the growing problem of unemployment As such, it shall be encouraging Industry Institute Interaction. iii) The emphasis is also on the development of all round abilities of the youth to enable them to setup their own industrial ventures and to cater to the needs of the organization both in public and private sectors in respect of their technical manpower. i) Urban as well as Rural youth may get chance to develop their employment potentials. ii) To enable youth to develop their technical knowledge. iii) To help the educated unemployed boys & girls to set up their own industrial Venture in the rural area. iv) To Provide Computer Operators and Technical manpower to the state and society.